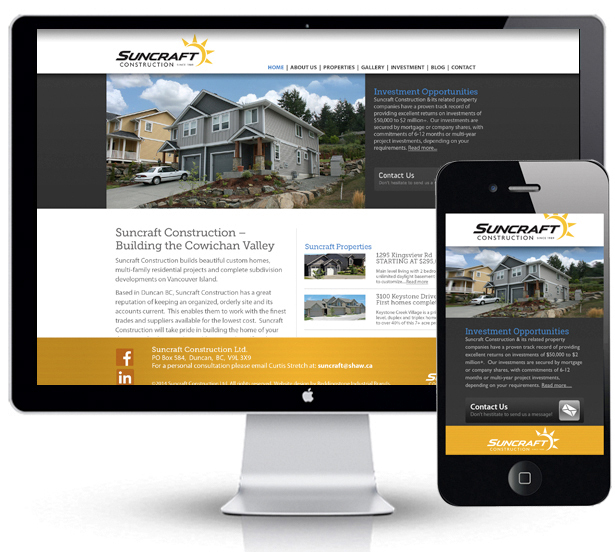 We are proud to have developed the new Suncraft Construction brand and website. The project involved creating a new logo that reflected components of the old one so that it maintained its recognizable colors and graphics albeit in a more cohesive presentation. The website now contains social media and mobile friendly responsive design.